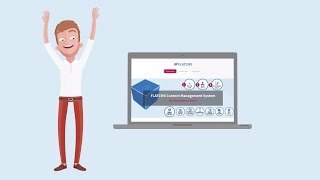 FLATCMS - Content Management Made Simple ! Turn any existing static website into a cms in a few minutes. Edit, upload, resize and manage images and files. 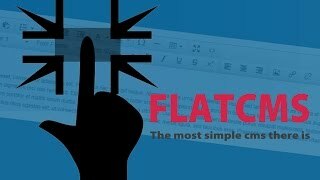 FLATCMS ( formerly known as filecms ) can be used on a desktop, tablet or smartphone. Works with language files ( currently available English, Spanish, Italian, German and Dutch ). CLICK HERE to see the DEMO !! It’s really easy to install FLATCMS. Just put some tags around the areas in your website that may be updated. FLATCMS will directly scan you website for files with these tags and allow a user to edit these regions. As you have read in our overview this flat file cms is probably one of the most simple xhtml cms systems in the world. Just add some snippets into your html, php, etc. files, give them permission to write to, fill in some values into the config file and you're done. A great tool if you have set up a homepage in xhtml (div, css) and don't want the editor to ruin your layout and use the correct html tags. In our example we use the dreamweaver editable regions tags but you can use your own snippets. The WYSIWYG editor we used is TinyMCE 4 and can be used on most platforms with IE, Chrome or Firefox (windows, linux, mac, etc. ).